ALEPPO, Syria – Christians who fled Aleppo because of the four year battle for the city are now returning, and in the face of such challenges as poverty, destruction, and a shortages of basic goods, they persevere with the help of the local Church. Fr. 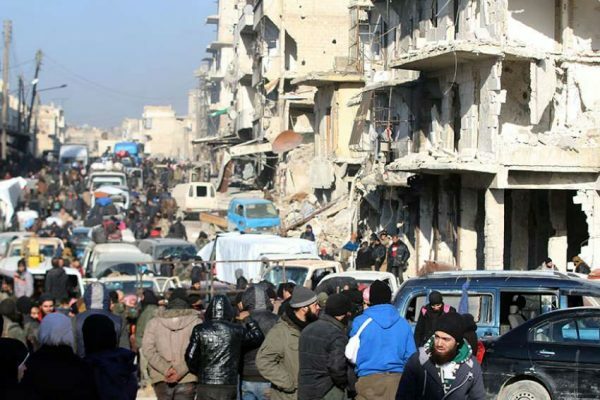 Ibrahim Alsabagh, a Franciscan priest in the city, told CNA that between January and June, 18 Catholic families have returned to Aleppo from places like Armenia, France, Germany, and Venezuela. In addition, 400 Christian families of the Armenian community returned to the area. “When they see the aid that we give to the Christians in Aleppo, they say, ‘Why don’t we return home, to our culture, to our society when the bombings have ceased?’” he said. Syria’s largest city before the country’s civil war began in 2011, control of Aleppo was divided among government and several rebel groups from July 2012 until the Syrian government recaptured the metropolis in December 2016. In addition, “it is difficult to work because there are few hours in which there is electricity. There is also a small labor force because many young people are gone.There is food, but high prices,” he added. He commented that the Franciscans have developed a project to help Christians rebuild their homes. Since 2016 the order has rebuilt some 470 homes, and this year they have created an office where nine engineers evaluate the cases of families whose houses were damaged in the war. Fr. Ibrahim added that there are several families who, despite having their homes destroyed, are still required to pay the mortgage on their home to the bank. The church also helps them. In addition, the priest said that there are 30 couples who will get married soon, and said that this aid is also for them.